Now that winter is approaching, the desire for Christmas cookies comes back. The smell of cinnamon is already mentally in the air. 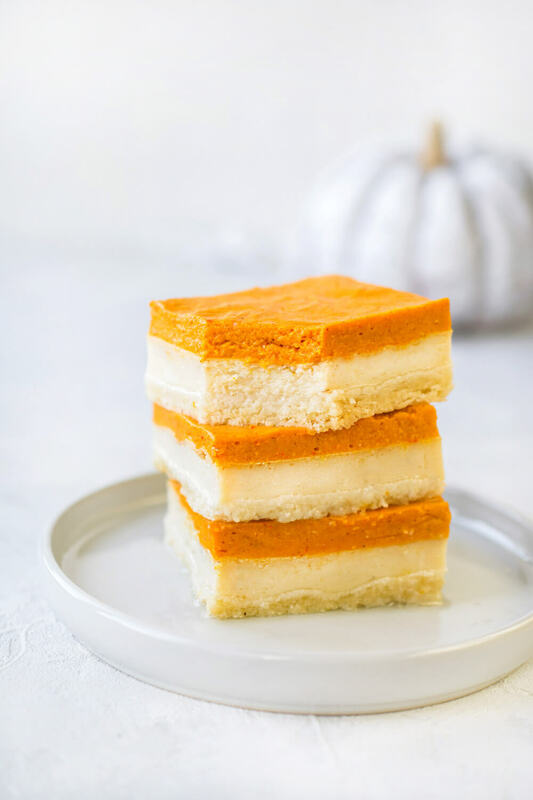 Inspired by the autumnal impressions, today I would like to introduce you to a newly created recipe from me, layered yoghurt cake with spicy pumpkin. Anyone who knows me knows that I like to use vegan yogurt in my kitchen. 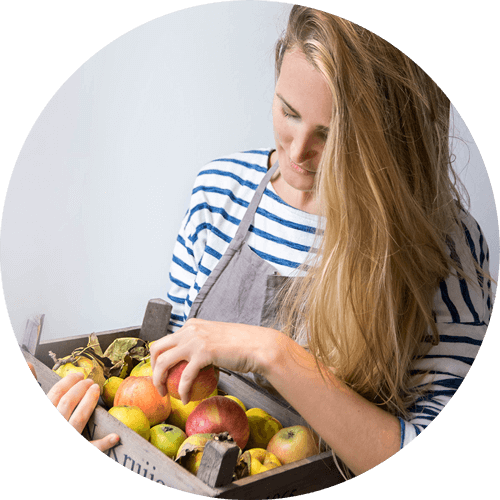 For example, I make hearty dips or quiches out of natural yogurts, and the sweet varieties are used to make desserts such as cheesecake or vegan fruit panna cotta. With every purchase you can make a difference, even when buying vegan yogurts. Meanwhile, there are many companies that make soy yogurt. But where does the soya come from? Many huge corporations source soy from South America, whose cultivation is often in great criticism. Unfortunately, the origin on their packaging is often unrecognizable. Soya can also grow sustainably in Europe and thus be better controlled and take shorter delivery routes. For this vegan cake, for example, I used “Sojade”, a French family business that grows its own soybeans, hemp seeds and oats. When buying soy products such as yogurts and milk, it pays to look more closely at the packaging and consciously opt for a more sustainable product. That’s why I want to support Sojade and have teamed up with this small family business to introduce you to this creamy and autumnal yogurt pumpkin pie recipe. For the cake bottom all ingredients are kneaded together at room temperature. Distribute the dough evenly on the baking paper in the cake pan and preheat the oven to 160 degrees. Combine all ingredients for the first layer and add a little more to taste. Smooth the layer evenly over the floor and place the mold in the oven for 35-40 minutes. After baking, let it cool well before taking the next step. Now prepare the pumpkin layer. For this you give all the ingredients, except for the agar agar and water in a bowl and stir it creamy. In a small pot you now heat the water and agar agar and let it cook for at least 2 minutes. Remove the pot from the heat and stir in the hot water in the pumpkin cream evenly. Now spread the cream on the top layer of the cooled cake. Cover the mold with a cloth and let it rest for at least 3 hours (refrigerator or cold balcony) to allow the agar to set. For more recipes and information, I recommend the Sojade Facebookseite page. This cake is baked with the kind support of soyade.